Online Courses at Education Canada College are available for all programs offered through the college. In fact there more online courses than in-class programs. Available in English, French, Spanish, Chinese, Japanese, Korean & Arabic. Offering courses in TESOL, TFSOL, TSSOL, TCSOL, TKSOL, TJSOL & TASOL. Available in CIT, TEC, TFC, TSC, TBE, TAE & TAS. Available in MBA, PMP, Public Accounting, Hospital Management, Academic Management & Hotel Management. Offering Certifications in Medical Assistant, Chiropractic Assistant, Dental Assistant, Pharmacy Technician, Naturopathic Practitioner & Healthcare Administration. Just like any other online education, TESOL studies has its’ advantages and disadvantages. Following are estimations outlined by Kizzy Preston’s research. PROS AND CONS There are pros and cons to both classroom instruction and learning completely online; however, these should be weighed and evaluated based on what is important to you, before committing to any particular degree program. Classroom Pros • There is face-to-face instruction. • You are able to ask questions in the moment. • There is face-to-face interaction with classmates. Classroom Cons • You must travel to campus (in the winter this may be particularly stressful). • Class is held at a specific time and you must attend. • You have to work at the speed of the class. Online Pros • There is no travel time. • You can attend class at any time of the day or night. • It is convenient for those who work a full-time job. Online Cons • It may be hard to express your thoughts, feelings or opinions in writing. • Emails, discussion board posts, and chats may be misunderstood because there are no visual cues to your/the sender’s intentions. • Lots of reading— from the lecture, to textbooks, to discussion board posts which you must read and respond to, you have to be sure not to miss vital information. • It is difficult to form a real connection with your peers. Here is what Education Canada can offer to facilitate both requirements. As Online studies are often hard for practicum based education or studies that include lab or activities similar to Teachers’ Training in TESOL, Education Canada courses are designed for Online+ programs. That simply means that students learn all theory material online through interactive media, videos, downloadable books, Power Point or PDF presentations while practicums are still conducted in-class. 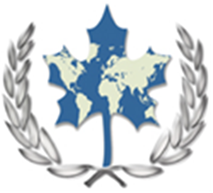 A combination of Online and In-Class studies makes Education Canada TESOL program unique to it’s kind. Total of 150 hours of theory, 20 hours of online videos, 10 hours of in-class or online observation classes, and 120 hours of in-class teaching practicum leads to a total of 300 hours of TESOL Training program that is highly reputable and recognized world wide. What’s more, is that Education Canada offers TESOL in seven other languages of Arabic TASOL, French TFSOL, Spanish TSSOL, Italian TISOL, Japanese TJSOL, Korean TKSOL, Chinese TCSOL, and Russian TRSOL. Example of In-class courses are available at Education Canada YouTube. Step 2: Register, pay course fees and schedule to write the online proficiency test. Step 3: Provide a copy of your CV at your registration. International students fees are slightly different than local students. Seasonal Promotions may apply. Loans, Scholarships, Bursaries and Work Study Programs (Co-op) are also available. Please contact our admission’s office for more details. Courses maybe taken by Online/ Correspondence or Onsite at one of our training centers. For more information please fill in the registration form.